1. St Patrick was never actually canonized. 3. We should be wearing blue rather than green. 4. There were no snakes in Ireland. 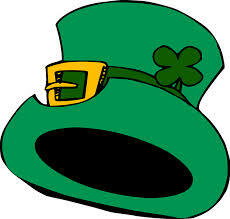 The one day of the year, when everyone is Irish! May the wind always be at your back. and rains fall soft upon your fields. Enter your email address to follow oh2bhuman blog and receive notifications of my posts by email.